Witamy! 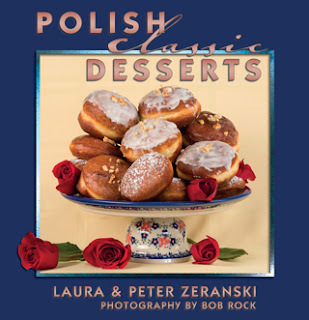 Many classic Polish baked goods trace their roots to the country and farms where the harvest bounty and seasons often dictated what landed in the kitchen and on the table every week. In our modern world of upscale grocery stores, most recipes can be prepared the year round. Ingredients are transported from wherever on our planet they are plentiful to wherever they are scarce. So, seasonality has become less of an issue. Of course if you wish to “buy local,” farmers’ markets are the way to go for freshly harvested and locally grown items. And yes they often do taste better – at least to this writer. 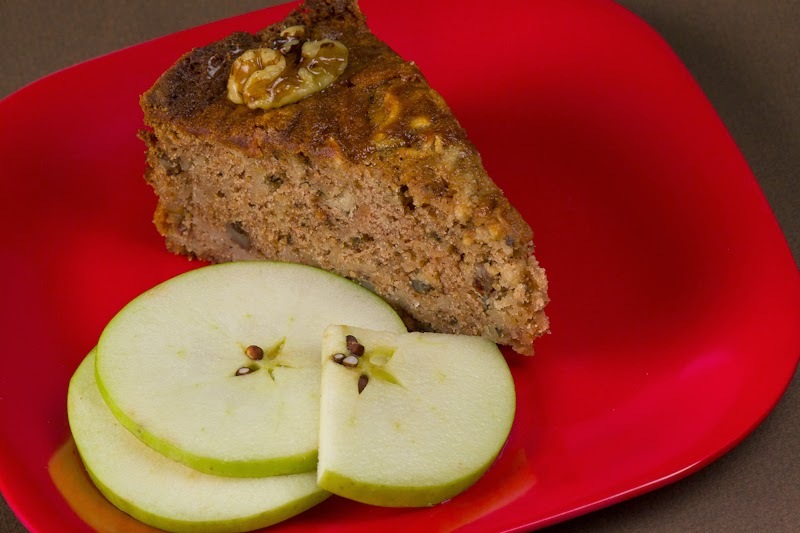 There are few better combinations of flavors than apples, cinnamon and walnuts. This is one of our absolutely favorite desserts and one that we often prepare for sampling at book signing events. Then, Laura makes it in a mini-cupcake size and it works beautifully. It’s very easy to prepare and the recipe is almost goof proof. And it doesn’t hurt that it’s super popular with all our friends. Beat the butter with the sugar until creamy. A standing mixer is perfect for this job but a hand mixer will work just as well. Add the eggs one at a time and beat five more minutes (less if using a standing mixer). Add the flour, cinnamon, baking soda and beat three more minutes. 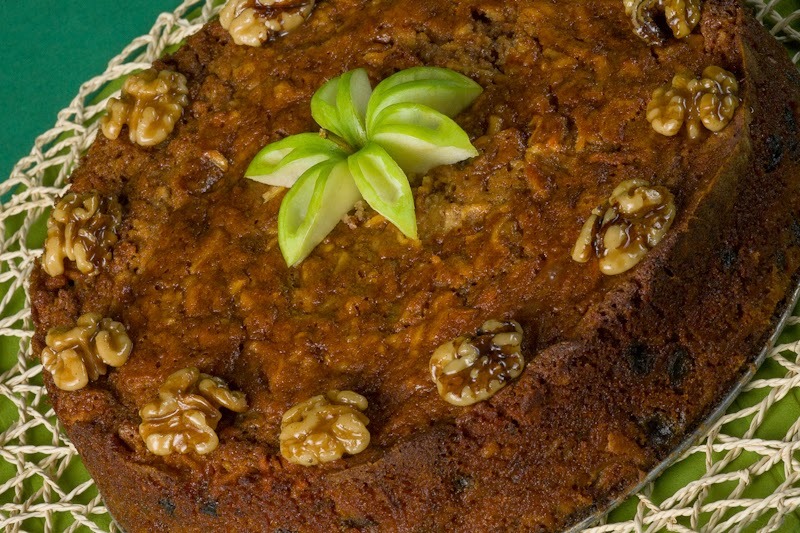 Fold in the fruit and walnuts. Butter and flour a high 10-inch round spring form cake pan. Pour in the finished batter and shake it around for even distribution. Bake at 350 degrees for an hour to an hour and a half (60 to 90 minutes). Test at 60 minutes for doneness with a toothpick. The cake is done when the toothpick comes out dry. Remove from oven and cool for 15 minutes before releasing the pan. Yields 12 to 16 portions, depending on size of slices and how hungry your guests are. Smacznego!